Hopefully this picture will buy me a little credit when you come to judge me at the end of this entry. 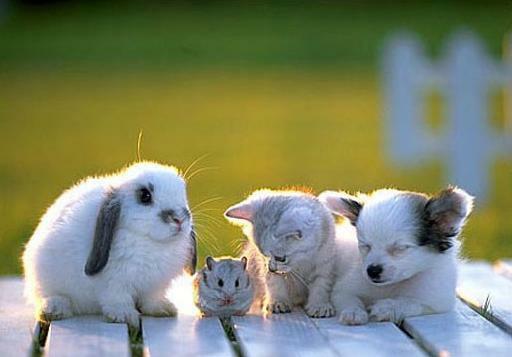 Awww... Now, look at the picture after you listen to the audio clip. Now… if I do actually have some kind of issue with my chest, that is indeed a cause for concern. But I have a nagging feeling that I caused it by doing a whole… 20 sit-ups. You see, I haven’t exercised properly since I was about 12 — I had the choice of doing sports, or going to the computer room (gotta love private schools). Of course, I chose the only real option available to a geek such as myself — I dived in and planted myself in a leather computer chair. I’ve never really left, either. Sure, I travel, and I walked a lot at university, and I have been known to play a little tennis or badminton from time to time. But when it gets right down to it, I’m woefully under-(s)exercised. I haven’t really experienced any detrimental side-effects to my complete avoidance of aerobic exercise. I could still spend 8 hours a day trekking around Rome without breaking (much) of a sweat. I can still perform in the sack (when the rare opportunity arises). But, alas, it seems I can’t sit in a computer chair now, without feeling a bit… squished. It just feels like all of my internal organs are kind of… squashed, sitting here, idle, sloth-like and unmoving. I decided to do a few sit-ups, on the premise that perhaps my stomach muscles weren’t really doing much, and they’re kind of important, to keep all your organs in the right place! And that was when I pulled a muscle. So now I’m chair-bound, because it hurts to stand up. I can hobble around looking like a hunch-back though, which looks kind of funny. I guess I deserved it for exercising so hard and so quickly. Back to the immobile geekery. I mean, 20 sit-ups… what was I thinking. 'It's custard, Richard' - the greatest complaint ever? LOL over 20 sit ups? youre so funny, you’ll get used to it though, promise. I finally got over my terrible nerd fear of gyms last week and I feel so much better because of it. Keep it up! oh, it was hell. However, after wotlk hit I needed a good break from games in general to get fit again. Also, low and slow is the tempo sir. Use every bit of that sultry British voice. I am so disappointed for being cursed with a goofy Canadian accent. Hah, if only I could’ve taken a break when WOTLK hit… We had a nice break between killing Kil’jaeden and the start of Wrath though, so that was nice. The moment WOTLK opened we were playing incredibly hard (which probably gave me these chest issues! )… but at least we’re something like world-30th now, which is nice! At least you’re not Goofy American. I never said u sounded thick! I would like to report that Sebastian is still alive!